PRAISE GOD! In Ephesians 5:19, the Bible says we should speak to ourselves in psalms, HYMNS and spiritual songs, sing and make melody in our hearts to the Lord. Ogunbanwo Olusegun a.k.a “CeeBishop” is a legal practitioner and a gospel artiste who ministers with the Talking drum (A traditional percussive instrument) and Chromatic Harmonica. He uses the Talking drum to lead praise alongside other musical instruments. CeeBishop, as a young faithful minister, is reputable for integrity, discipline and hardwork; these virtues have availed him the opportunity and privilege to minister in various renowned churches with great ministers of God including Chris Morgan, Prospa Ochimana, David G, Big Bolaji, lord Bishop, Niyi Africa, De-Horner, PraiseChef...@ Clasfon (Nls, Abuja), Living Faith Church(Ogun state,Abuja,Niger State...), House on the Rock(Minna), Dunamis(Minna), Rccg(Minna), Nccf(Minna), Elim(Abuja), Picc(Lagos), Methodist Church(Ibadan), African Church Cathedral(Ijebu Ode), Rccg(Abuja), Trem(Abuja) to mention but few. 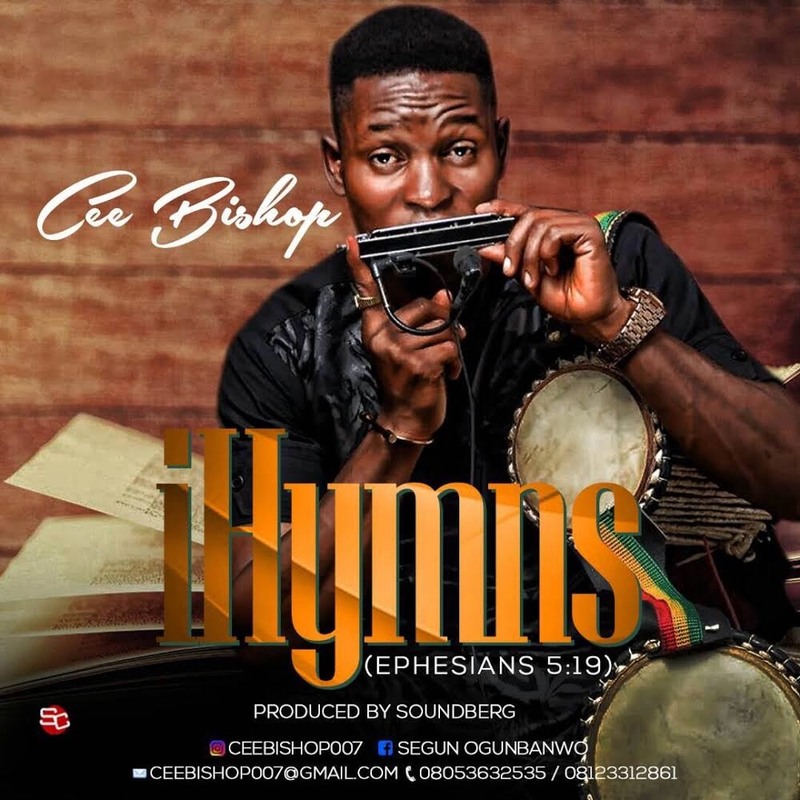 His debut single, titled "iHymns", released today being his birthday (22nd day of September, 2018), is a collection of some popular hymns that motivate, inspire, edify and develop a believer in the course of his/her christian race. The track edges out for the artiste’s creativity in selecting and harmonising the songs to match or suit every listener's mood per time; whether in danceable praise or slow hilife. Indeed, it is a daily must-listen song; at home, on transit, at work and even in outdoor programmes for the saturation of the atmosphere with His divine presence.